When I was on travel the last few months, I got to take the Verizon Jetpack 6620L Mifi with me. It’s a great addition to any Itinerant’s tech gear as it saves your phone in so many ways.While I didn’t travel Internationally, I was in some spots where the signal was weak and was still able to keep in communication. 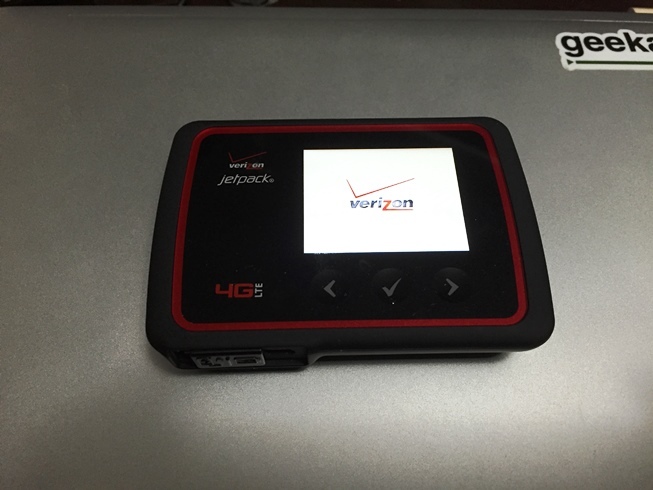 The Verizon Jetpack 6620L is a 4G LTE mobile hotspot that can connect up to 15 devices. The 4,000 mAh battery gives a usage time of around 20 hours with an even better standby time. Two USB plug types so you can plug it in different sockets to keep the battery charged. The 6620L also is small enough so it can be put in a bag for travel. The Jetpack will work on LTE, CDMA, EDGE/GSM, and HSPA, so the Mifi can be used in over 200 countries. Perfect if you want to take the family overseas but don’t want to have to pay for extended data on all phones. WiFi works on a 2.4 and 5.0 GHz MIMO, so any device is covered and no one has to wait for the other devices to complete to get a signal. If you are getting maximum use out of the Mifi, you can get replacement batteries to keep the device charged when no outlets are available. Jennifer and I used this on our trip to San Francisco (and Sonoma Valley), then I had some independent trips to Vegas and northern WI where I had the MiFi plugged into the car. While it did lose signal at times, we ended up transferring over 40 GB in one month without slowdowns. It also kept our phone plans in check from overage fees. We also had a major storm run through that cut the power for the whole evening. I was able to set up the Jetpack on portable power to download and watch a couple movies. You can get the JetPack MiFi 6620L for $49.99 a month on a 2-year contract, or $199.99 with a separate plan. For more information, check out Verizon Wireless: Jetpack 6620L.